It's that time again, North American gamers, and this week's Nintendo Download Update has some exciting treats following the Nintendo Direct shenanigans of 1st April. Nintendo 64 and DS arrive on the Wii U Virtual Console, while there are a whole load of new games and discounts across both the Wii U and 3DS. Let's get to the details. Missed the European Update earlier in the week? Don't fret, the details - including a Nintendo Direct update - are right here. 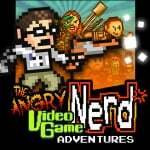 Angry Video Game Nerd Adventures (ScrewAttack Games, $9.99) - It's taken a while, but this apparently difficult AVGN action platformer has now arrived on the Wii U. You can expect plenty of retro game and AVGN episode references, and to die a lot - we'll bring you our review soon. 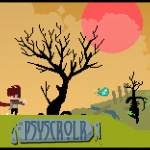 psyscrolr (Actos Games, $3.99) - With chunky and colourful pixel-based visuals, this is an adventure platformer in which you use a variety of powers to survive the challenges thrown at you. With a dramatic storyline and GamePad controls this seems promising, and we'll let you know what we think in a review. 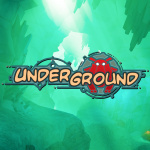 Underground (Grendel Games, $20.99) - Software initially designed with specialist equipment to enable fun medical training, this puts you in control of two robotic arms as you try to assist your companion through a host of environments by solving puzzles. It's an intriguing premise, and we gave it a strong recommendation in our Underground review. Mon Premier Karaoké (RingZero Games, $9.99) - A karaoke game with "some of the most popular children's songs of all time", especially if your child is French-speaking. It's about as niche as they come, but we gave it a recommendation for its target audience in our Mon Premier Karaoké review. 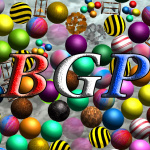 Bubble Gum Popper (Skunk Software, $1.99) - In the slightly bizarre trailer for this we see a somewhat chaotic matching game, with a large variety of round candies needing to be matched quickly as they tumble around in a bubble gum dispenser. It looks like it could be fun or a bit of a mess, but we'll chew over its merits in a review. Super Mario 64 (Nintendo, $9.99) - The iconic 3D platformer that helped to change the face of gaming, this finally makes its way to the Wii U eShop with some control scheme options as part of the N64's debut on the latest Virtual Console. Much-loved and widely regarded as a classic, we'll be taking it for a new spin on Wii U; in the meantime you can go truly retro and read our old Wii Virtual Console Super Mario 64 review from 2006. Yoshi's Island DS (Nintendo, $9.99) - After a brief dabble in the past, Nintendo's truly kicking off its DS Virtual Console collection with this typically colourful Yoshi adventure. It has many of the standard features you'd expect of a Yoshi game, and we quite enjoyed it in our original Yoshi's Island DS review; we'll take another look on Wii U.
BOXBOY! (Nintendo, $4.99) - The latest title from HAL Laboratories, you puzzle your way through over 150 levels by creating and utilising blocks in various ways. It has a retro vibe and a variety of outfits for your boxey hero, though we only gave it a modest recommendation in our BOXBOY! review. Excave II: Wizard of the Underworld (Bergsala Lightweight, $10.00) - It didn't take long for this sequel to make its way to the West, bringing more dungeon-crawling hacking and slashing to the 3DS. We quite enjoyed the original in our Excave review, so will see how this sequel stacks up. Story of Seasons (XSEED Games, $39.99) - For all intents and purposes a Harvest Moon game with a different name (due to licensing issues), this continues the formula with some evolution to the core gameplay. Some aspects of farming and the in-game economy are simplified and tweaked, all with a charming overall aesthetic. We gave this a solid recommendation in our Story of Seasons review. That's the full update for North America this week. Let us know what you'll be picking up in the poll and comments below. Yoshi's Island Ds because I want to see how that works! The DS and N64 VCs aren't updated on Europe. I bought Super Mario 64 as soon as the direct was over. So many wonderful memories! I bought SM64 last night. I'll pick up both the Shantae themes and BOXBOY! later too. Next few weeks seem to be pretty good for the eShop. @ThomasBW84 No Etrian Mystery Dungeon? That falls in this week's I believe. Nothing this week. I have 64 cents on my account. Already picked up 64. I owned a PS1 during the time. @Spoony_Tech Not in Ninty's list, I'm afraid not. @outburst I'm seeing the new VC games on my UK Wii U. What country are you in? Still missing the GBA games that are already out in both JP and EU. No bueno. @ThomasBW84 I figured but thanks for the reply. I just checked the Eshop and it does still say the 7th and available in the shop. I'll get Mario 64. I've been waiting to play this on the gamepad, and with custom controls, its a must for me. I wish i had a wii u, all these games an previous games are amazing and id buy n64 games if i had it plus i wonder if thepokemon ds series join the ds vc. I wish Underground was a bit cheaper, but still getting it for the uniqueness of it. Awesome. I got Mario 64 for $2.00 since I already had it on Wii VC! Me too. Not sure how it'll be having both screens viewed on the gamepad. Plus, how does it work for scenes and bosses that appear on both screens if you are playing it on the TV? Well now you know why Nintendo took down that fan-made Super Mario 64 game. We finally got N64 support for Wii U VC. I see no point in rebuying N64 or DS games, and not sure about anything else. My Wii U and 3DS are not on very often these days, so it's hard to say. I meant the EU download article which now is fully updated with the Wii U VCs. So never mind. Mario 64. Best $2 I'll spend all week. I guess it's nice that DS games are here, but it's about time for the N64 games. @andrew20 I think the 3DS VC is dead as this point since Nintendo won't put DS or GBA games on the 3DS. So, still no zero mission for NA? Man, I wish I had known that The Angry Video Game Nerd Adventures was going to be added to the eShop like a month ago! Now I have no money on there. EDIT: I'll be picking up BOXBOY as well! @ThomasBW84 - I think this game needs a lower sale price or a higher normal price. And job well done w/ all the ND coverage, looking forward to your opinion piece later. AVGN is a good game - short and encouraging players to replay the game after finishing it to get a better score. 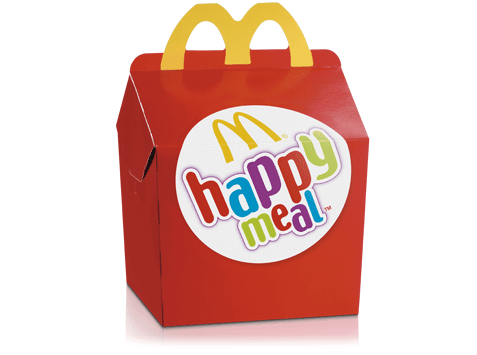 I guess Box Boy, at first I was "meh", but then realized it's made by Hal. Might get Super Mario 64 at some point, since I can nab it for $2. I don't need to buy Mario 64. Again. And DS games aren't couch games for me. I am looking forward to playing BoxBoy. $0.00 off isn't much of a sale for Toys vs. Monsters. No option to show my love for Gravity Badgers. WTF. Nothing for me. Not really interested in Overrated--er...SUPER Mario 64. I'm still waiting for the Citizens of Earth patch to fix the game freezing. No wonder there's a discount. Super Mario 64 for me. Because I have previously purchased it for the Wii Virtual Console, I'm definitely making the shift to Wii U for a mere $2. I got SM64 immediately after the direct. I'll definitely be downloading AVGN when I get home since I've been a fan since the first few videos, but honestly, they should have released it on Wii U when it still had a lot of hype. Long-time fans like me are still excited, sure, but the hype for the Wii U release isn't what it was in the build-up to the Steam release (at least not what I've seen; correct me if I'm mistaken about that). Excave II will be my eventual buy. I liked the first one for what it is, and from what I've read, the second game improves upon the original in a lot of ways. I already picked up a copy of Story of Seasons retail, so I voted for one of the 3DS temporary discounts (specifically European Conqueror 3D and The Legend of Dark Witch). I'll probably get Box Boy soon too. @khaosklub I know right? It's very annoying how they rollout certain releases for games. Get the legend of dark witch folks. U won't be disappointed. Oh and no 3ds vc update.. That one is disappointing..
Has it been over a month since any VC on 3DS. 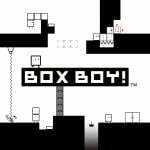 Getting BOXBOY! for sure. I think Underground (given the eshop price) deserves a retail release, if at a budget price, or bundled with wiimotes etc.. It's a unique enough title (if limited) to deserve some shelf space. Boxboy and may get Mario 64 to see how it has aged. And a Shantae theme to encourage more indies to do the same. Shovel Knight or Gunman Clive themes pls! Already downloaded Mario 64; will probably download Yoshi's Island DS soon. What's the file size on AVGN Adventures? So, now we get NDS games once more, hopefully more than one this time around, also, N64 games, which is cool and all, but whatever happened to those Wii games? They started out great in January ... but since then? I COULD NOT STOP playing Mario 64 last night! I don't know what came over me, as I've had the game on Wii mode forever. It still looks great, and VERY clean on the Gamepad /HDTV. I could not stop until I cleared the entire first area of the castle and got all three power ups. I can't wait to be able to use suspend points on games like Zelda OoT / MM, Starfox 64, and several others. Not because I'm a wimpy gamer, but to make certain glitches and favorite moments easily relivable! Theres a lot of Wii games and GBA titles I wished they weren't holding back, but I'm about ready to take a break from MH4U and start Xenoblade next week anyway. As far as DS games, it's cool... but I really don't feel the need as they can still be acquired and played as they were meant to be on my N3DSXL. I actually wonder if DS games on Wii U will retain local play capabilities and whatnot. If this means I'll finally be able to play the DS Zelda games at a lower price, then sure. AVGN Adventures for me. Mario 64 brought me back to the past, now its time to go even further. To the dark smelly depths of rainbow logo bliss. Club Nintendo messed up and won't let me have my ULTIMATE NES REMIX. I was hoping to play that between ad designs at work today. No code in my email. Won't show up on the site in my orders. Won't let me click it again. Sigh. I was so looking forward to that too.
? That game's page says it's normally $3.99. Where's the 'I can't decide on what to get' option? I'll buy virtual console once they announce its tied to an account and will transfer over to the Next home console without paying again!!!! I won't pay a 3rd time. Hopefully they're releasing so slow because this is their final virtual console base, meaning it will be set like this forever. I don't pay to transfer my music from one apple device to the new apple device. Mario 64 for me. I never bought it on wii, so I'm looking forward to playing this again.Hope metroid arrives next week. Well, to be fair, it has had more work done on it and has a few extra features that weren't available on the wii. You're not buying again. Just upgrading. @andrew20 On the back burner, where else? AVGN for me. Man with that and Tekken Tag 2 my Wii U is going to get alot of use this weekend. Are the N64 games rendered in a higher res? The polygons look less jagged than I thought they would on my 50" TV. For the first time in months I can safely say that NA Wii U owners are missing out. We got 4 games in Europe! DK64 Mwhahahaha! Another beat week. No AVGN for the 3DS? Already have SM64 on the Wii and on the DS, so I'll just wait eagerly for DK64 in two weeks. Marginally interested in Box Boy and Excave II. Wanna see if the latter is an improvement over the original. I really want Citizens of Earth but I'm so broke at the moment. I can't even afford to pay attention.....Had Had! An oldie but a goodie...well maybe not anymore. I may try and get that before the sale ends. Patiently waits for Mario 64 and Yoshi's Island DS review. Probably Tropical Freeze, Galaxy 2, or less likely New Leaf from the CN finale. I want Galaxy 2 in disc form. Nothing for me this week. My time will be occupied by Ultimate NES Remix from CN, and Story of Seasons, which is arriving today in the mail. Plus I'm not going to have any funds for eShop cards for a while. I am interested in BOXBOY! and Excave II. If later on there is a lull in retail games I'm interested in, I might pick those up. Nothing for me. I can spend $2 on mario 64, but I have so much homework. I am hating it. @Captain_Gonru Nothing at all until at least September ? really wish those VC games were both Wii U and 3DS, there is a total lack of new 3DS games coming, and still only the 1 game specifically made the new 3DS. Definitely feels like they have given up alot of the 3DS support even though that's what has been doing well for them. @Quorthon - Wow, you are underwhelmed and unhappy with [insert Nintendo game or decision here]? @Action51 wow, you're happy and overjoyed with anything and everything Nintendo does? Cool week. Citizens of Earth and Yoshi's Island DS for me. I also might pick up Psyscolor depending on NL's review, that game looks pretty solid. Will spend the $2 to upgrade Super Mario 64. On a side note, new patches for both Pokemon XY and ORAS were released yesterday. I have no idea what they do, but as always they are required for online play. Kinda sad that AVGN hasn't hit the 3DS yet. That's kinda what I'm waiting for. Another week goes by of NA virtual console getting the shaft. If nintendo can't release virtual console games at parody with the UK in 2015 then nintendo is well ...... Not having parody with wii digital releases which we only have had 3 and n64 virtual console game where we only get Mario 64.... Ermmmm I want donkey kong 64 more, iv played Mario 64 a billion times. I'm really starting to hate nintendo more and more. @Nintenjoe64 I hope nintendo eu gets nuked. I'm hoping for DK64, since I missed it first time around. 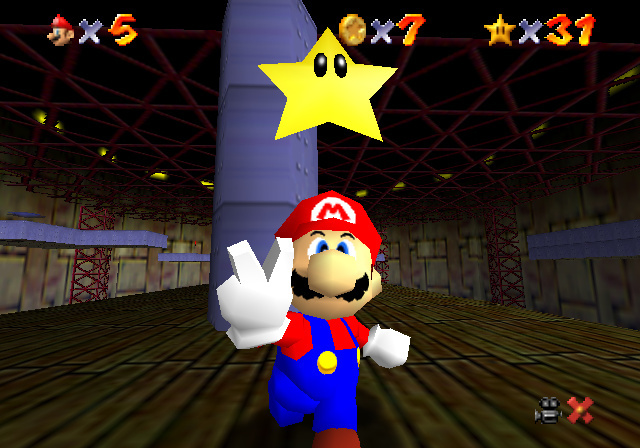 Mario 64 is one of the best games ever made, period. I hope the next 3D Mario platformer jumps back to the exploratory approach of that game and Sunshine, rather than the more linear approaches of the more recent games. Not that I don't love the recent ones, I just think it's time to revisit that idea. Or, you know, just HD remake Sunshine. I'd be happy with that. @Quorthon If your 3DS/Wii U are not on often these days, then you are missing some quality stuff. Hopefully you've just got something else going on another platform, because I don't even have time these days to play the games I already have, let alone the new ones I want.